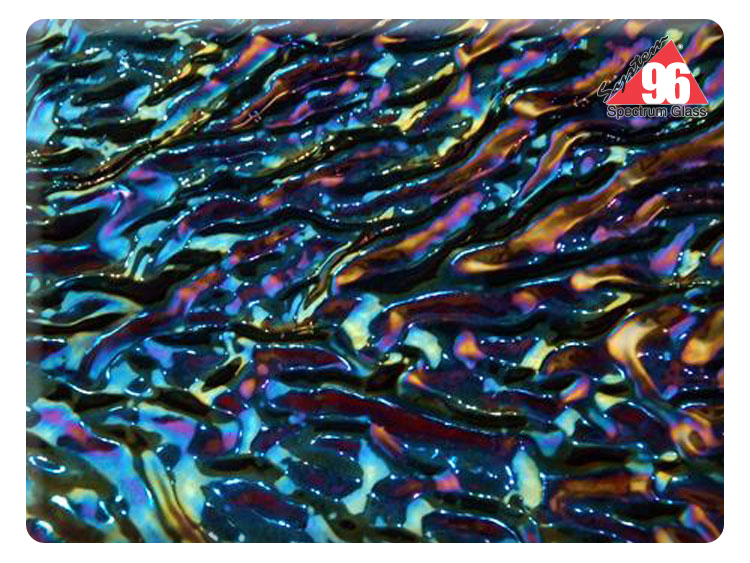 Herringbone Ripple textured-glass is created during the sheet-forming process, then quickly cooled to maintain its shape. The iridescent aura sparkles and impresses! 12" x 12"